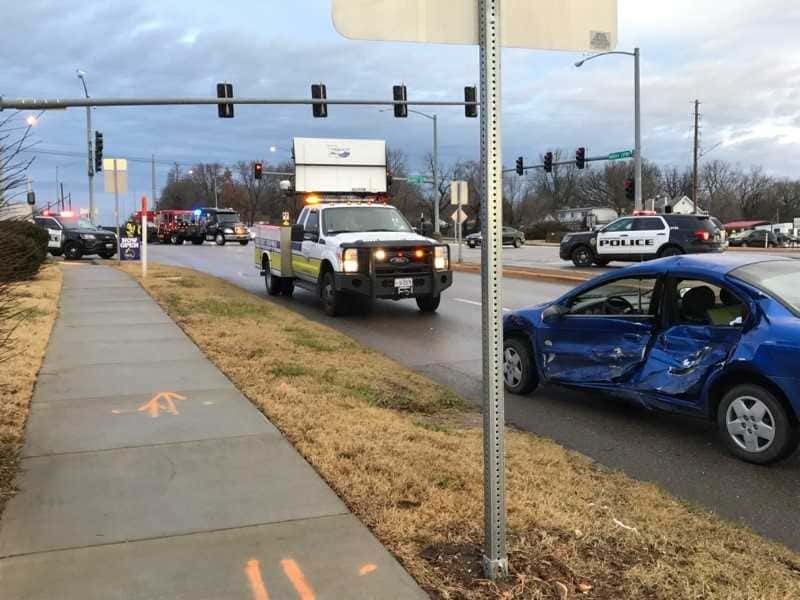 At least one injury is reported in a crash between a pickup and car at Kearney and Kansas Expressway in Springfield. The wreck, which happened just before 8 a.m. Friday, shut down the westbound right lane on Kearney just east of Kansas. All lanes were back open by 9 a.m.
We’ve had reports an infant was injured in the wreck and taken to the nearby Walgreens while an ambulance was called.